Some people exude negativity. They don’t like their jobs or they don’t like their company. Their bosses are always jerks and they are always treated unfairly. The company is always going down the tube and customers are worthless. Very often, negative people do not realize how their pessimistic attitude can affect others, and therefore they do very little to try to change how they act. Luckily, there are certain tips and pointers that you can use to better deal with the negative vibes that are being emitted in their company. So, how does one deal with negative people? One obvious solution is to walk away from them. But this is easier said than done. You can’t always just “get rid of” negative people. Sometimes they are your family, friends, coworkers. People have bad days. Even you. • Diffidence: A sense of helplessness about one’s ability to deal with life’s challenges, leading to anxiety in facing those challenges, and to shame or guilt when the challenges are not met. • Demanding nature: Although negative people are diffident about their own abilities, they nevertheless put pressure on close-others to succeed and “make me proud” and “not let me down”. • Pessimism, or the tendency to believe that the future is bleak; thus, for example, negative people can more readily think of ways in which an important sales call will go badly than well. • Risk aversion, especially in social settings. This leads to reluctance to divulge any information that could be “used against me,” leading, ultimately, to boring conversations and superficial relationships. • The need to control others’—especially close-others’—behaviors. For example, negative people have strong preferences on what and how their children should eat, what type of car their spouse should drive, etc. 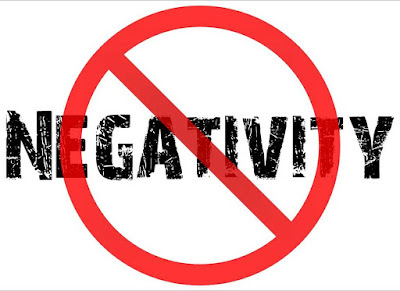 Being around negative people is toxic and can negatively affect us. As practitioners, we can often find ourselves living in a bubble of positive, like-minded people, which makes it a little more difficult to have patience for people who are the opposite. It is one of the many challenges in trying to implement Lean, but it is also a wonderful reminder for us to go back to the lessons we learn through respect for people. Not letting that negativity affect us is not easy, and encouraging negative people to change is even more so. Approaching both with kindness, non-judgement, and our own positivity can make things a bit easier. How do you deal with negative people in your life? Share with us below! Negativity will definitely bring negative result in our life, it restricts our success and also responsible for our downfall. In most of the occasion, we have found that people are having negative attitude due to their surrounding and fellow members. So to deal with negativity we must follow the footsteps of positive people and change our attitude towards everything.